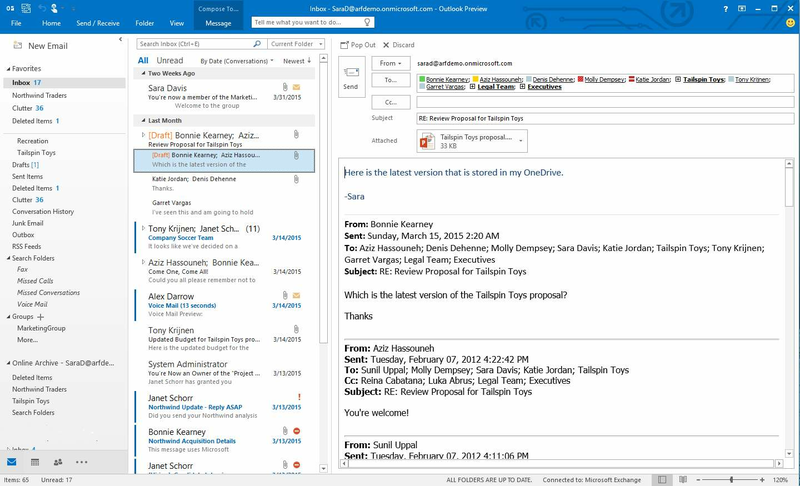 Applications that adapt to users, faster Outlook. 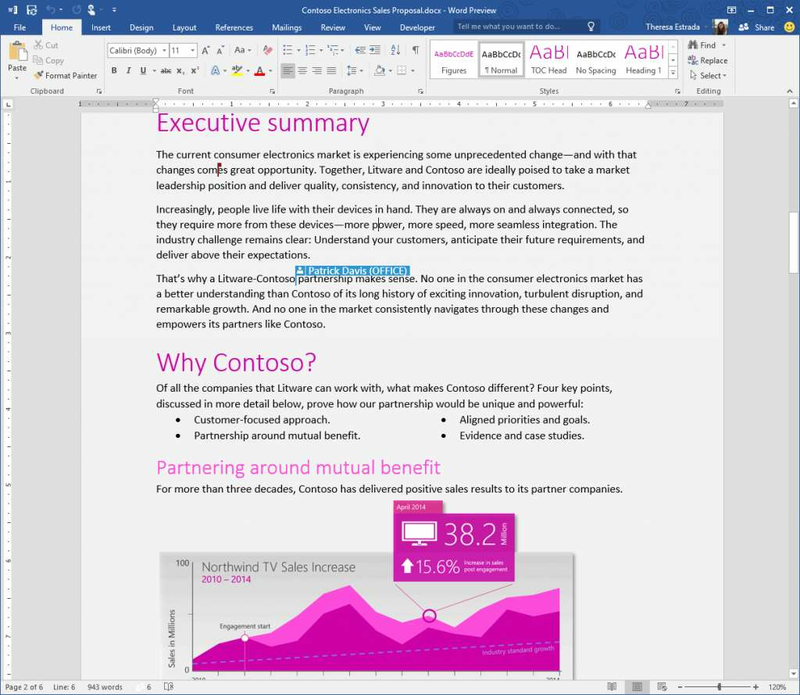 Microsoft has released a general preview of its upcoming Office 2016 desktop productivity suite, for users with and without an Office 365 subscription. In February this year, Microsoft released a technical preview of Office 2016 for IT professionals for testing, subject to a strict non-disclosure agreement. Jared Spataro, Microsoft's general manager of Office marketing, said the company is now ready to receive feedback from a broader audience, ahead of Office 2016 general availability later this year. Office 2016 is visually similar to its Office 2013 predecessor, but brings several new features to the table. Easier cloud storage for documents, improved collaboration, and applications that learn about your working methods as you use them are some of the key features in the new product suite. 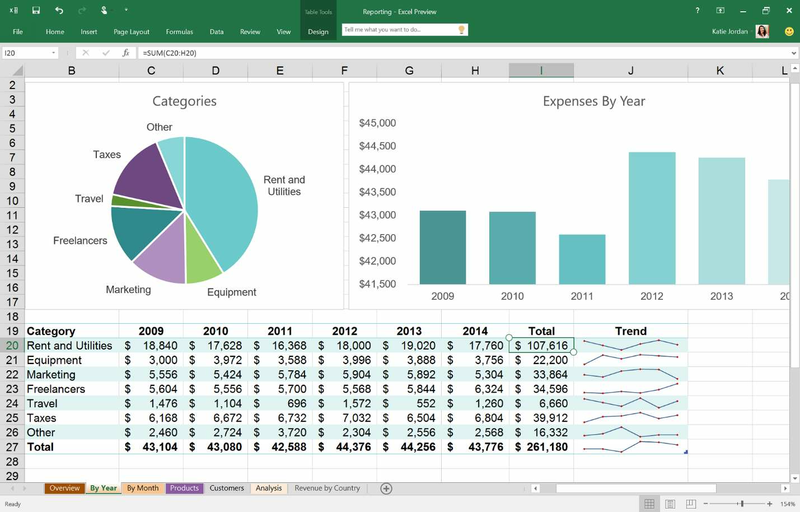 Excel gets better data analysis, modelling and visualisation features, with the ability to publish workbooks to Microsoft Business Intelligence. Outlook has had a substantial under the hood makeover to improve performance and responsiveness over the internet for users. Remote Procedure Calls (RPCs) for syncing with Exchange Server have been replaced with the Messaging Application Programming Interface-HyperText Transfer Protocol (MAPI-HTTP), which Microsoft says is more internet friendly. Foreground network calls are no longer used to ensure Outlook remains responsive on unreliable networks, and email received will display faster after hibernation in users' inboxes. Office 2016 administrators can use the Data Loss Protection (DLP) content classification and policy feature in Word, Excel and SharePoint as well as in other components of the productivity suite that already have it enabled. DLP lets administrators create, manage and enforce policies on content creation and document sharing, and detect and alert when these are being violated by users. Business and enterprise customers can enable the First Release option in their Office 365 subscriptions to allow users to receive the Office 2016 preview. The productivity suite can also be obtained via the Connect program without turning on First Release in Office 365. Only Office 365 ProPlus subscribers can receive the Office 2016 preview. Subscribers who have other plans such as Office 365 Business will be added to the preview at a later stage, Microsoft said. An Office 365 subscription is, however, not necessary to trial Office 2016, as Microsoft has made standalone 32 and 64 bit versions of the productivity suite available for download, with license keys that will expire when it hits general availability in the southern hemisphere Spring.